Lake Zurich, Ill., May 8, 2015 ⎯ The remodeling industry experienced slow growth during the first quarter of 2015 due to sluggish existing home sales, continued labor shortages, and a severe winter. As a result, WarmlyYours Radiant Heating reports slow but steady growth so far this year. 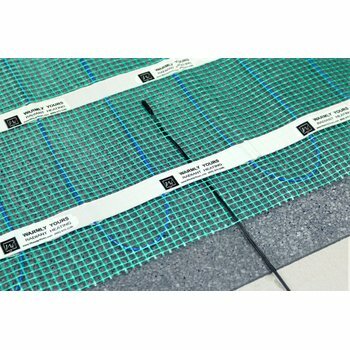 Yet, with a wide variety of electric radiant heating products, the company was able to capitalize on the severe winter and lack of remodeling projects. Consolidated gross sales of the company’s outdoor radiant heating products increased 30 percent during the first quarter as a result of the harsh winter weather. 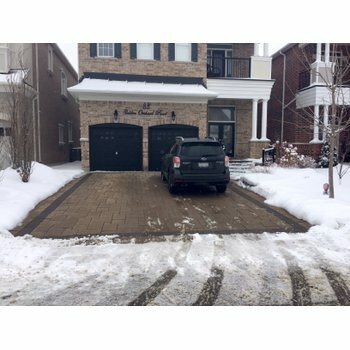 Made up of snow-melting systems and roof and deicing systems, the outdoor segment growth was led by roof and deicing systems, which increased nearly 350 percent during the quarter. 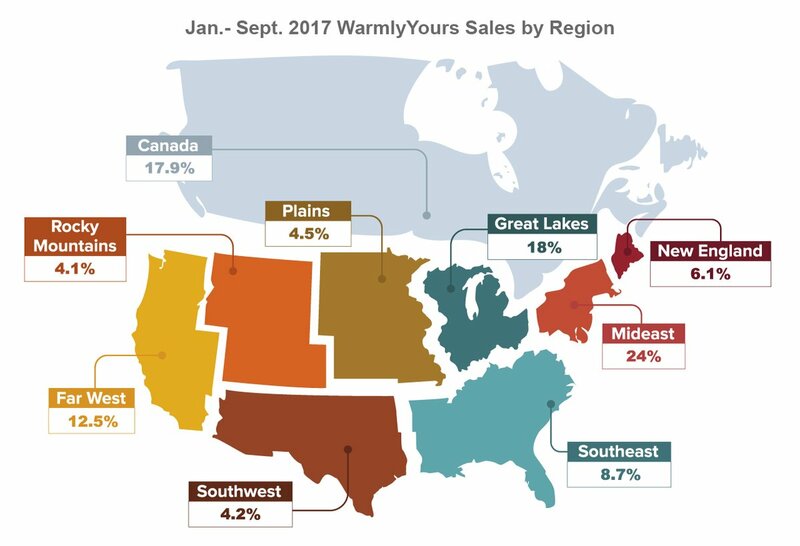 “We expect our outdoor radiant heating systems to grow even more significantly during the second and third quarters, because these are the prime seasons for installing outdoor radiant heating solutions,” said WarmlyYours President and Owner Julia Billen. Another obstacle for the remodeling industry has been sluggish existing home sales, which leads to fewer remodeling projects, according to the Leading Indicator of Remodeling Activity (LIRA). The LIRA expects healthy gains in residential remodeling activity to decelerate in the first half of the year but gain traction again by the end of the year. On the other hand, in the National Association of the Remodeling Industry’s (NARI) first-quarter 2015 Remodeling Business Pulse (RBP) survey, the majority of contractors reported that their current business conditions are better than they were last year at this time. Similarly, the National Association of Home Builders (NAHB) reported a Remodeling Market Index (RMI) of 57 in the first quarter of 2015. An RMI above 50 indicates that more remodelers report that market activity is higher (compared with the prior quarter) than report it is lower. 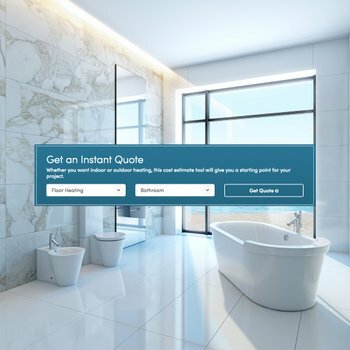 Whether remodeling projects are steady or declining, WarmlyYours benefited in the first quarter by offering a variety of home upgrades that don’t require significant remodeling. Third-party integration kits, which enable WarmlyYours floor-heating systems to work with smart thermostats like the Nest, increased more than 3,000 percent in sales compared with the prior-year period. Countertop heaters grew more than 500 percent; mirror defoggers grew more than 200 percent; radiant panels grew more than 60 percent; and towel warmers grew nearly 10 percent. These small upgrades allow homeowners to renovate their kitchens, bathrooms and other rooms of the house without breaking into the walls or floor. Next quarter, the majority of NARI remodelers expect to see an increase in remodeling projects. As a result, WarmlyYours anticipates growth across its entire portfolio. “As the number of remodeling projects increases, we expect sales of our electric floor-warming systems to meet or exceed that growth, supported by continued growth across the rest of our line of radiant heating solutions,” Billen said. To read WarmlyYours’ full first-quarter industry report, visit www.WarmlyYours.com. Hi-res images are available upon request. Previous Post What Does Floor Heating Cost in a Minneapolis Living Room?